An increasingly mobile world and new, enabling technology together have set the stage for the emergence of digital mailbox services. 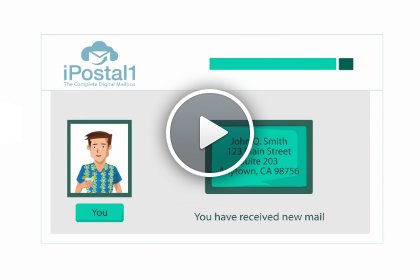 iPostal1’s digital mail software and technology allow individuals and businesses to view and manage their mail and packages online or from mobile devices using our free apps. iPostal1’s digital mailbox service also provides ease, immediacy and control to those who want a real street address for their business, secure package delivery, or the privacy of an alternative address and phone number. Customers can forward mail and packages to multiple addresses, schedule shipments, and choose the carrier and level of service. They can even instruct their digital mail center to conveniently deposit checks into their bank accounts by mail. With digital mailbox locations all across the U.S. and abroad, iPostal1’s digital mail services come with a real street address. Customers choose from any location in our network for receipt of their mail, packages, magazines, and bank and credit card statements. Additionally, business customers can add phone forwarding, voice mail and fax to any iPostal1 street address to create a virtual office and expand their company's presence into new locations. We're excited to hear from you! Whether you're a potential customer, iPostal1 veteran, industry pro, curious browser, or guest blogger, we'd love to be in touch with you. Please don't hesitate to reach out with questions, comments, feedback, or just a quick hello.